Thank you for visiting Smiles by Clemons. We look forward to the opportunity to serve you. 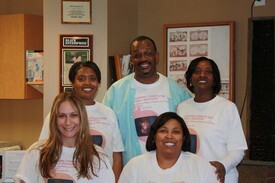 Durham Dentist Doctor Edward J. Clemons, Jr., actively practices cosmetic and family dentistry in Durham, North Carolina. You are welcome to call our office or drop by for a visit!